One of the highlights of my year is the Producers Bursary Award scheme that we run at the BBC Good Food Shows. 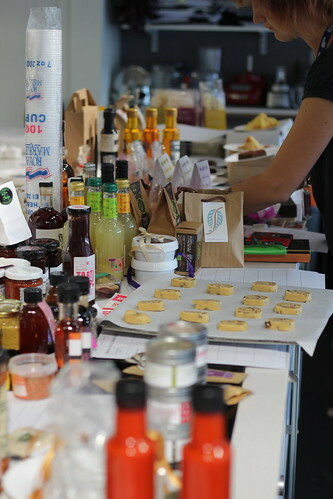 It’s basically our way of rewarding small, fledgling, outstanding producers with a free opportunity to showcase their products at one of the BBC Good Food Shows. 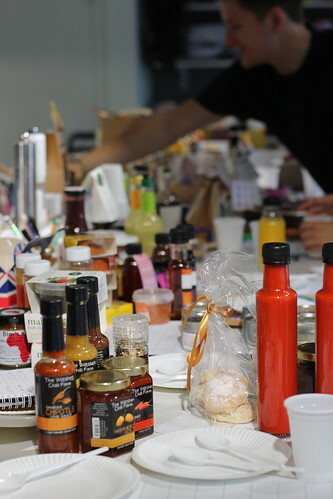 I manage the scheme from taking applications, coordinating the judging at the Good Food Magazine Kitchen, with their team of experts and ultimately deciding which companies will win the coveted award. 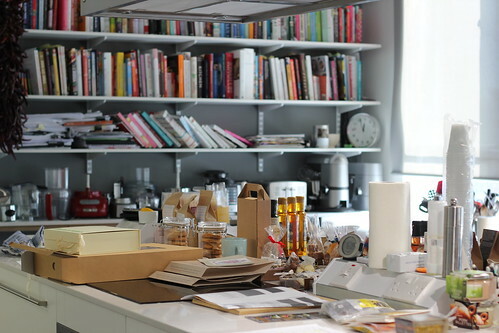 Making a mess of the gorgeous Good Food Kitchen. Some like it hot! 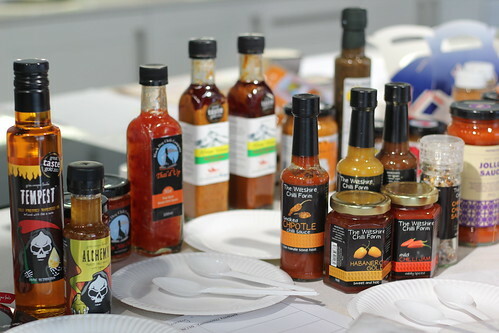 We had some super hot chilli sauces to try, I wimped out quite early on! 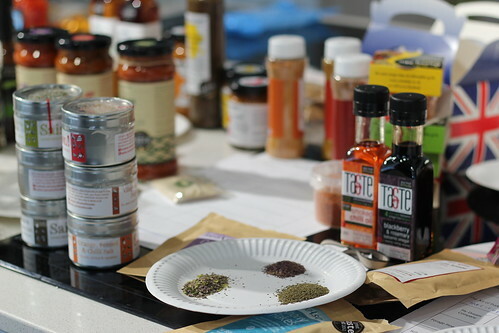 Spices and seasonings were an interesting category. 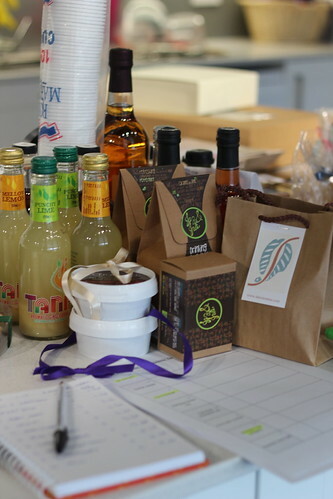 Drinks included cider, ginger soft drinks, fruity tea and hot chocolate. 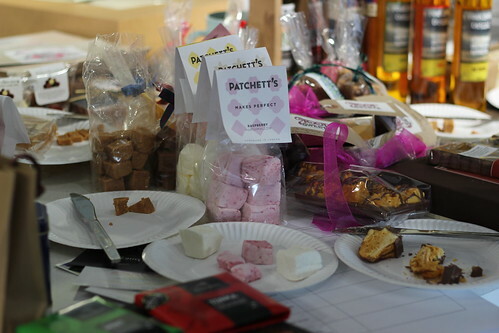 The confectionery category was definitely my favourite! 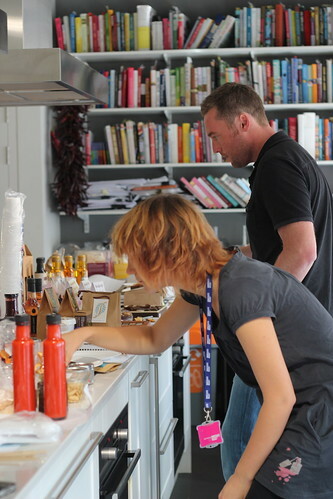 The lovely Sarah Cook, deputy food editor, and Cassie Best, assistant food editor for Good Food Magazine gave their expert opinion on the taste and quality of the products. 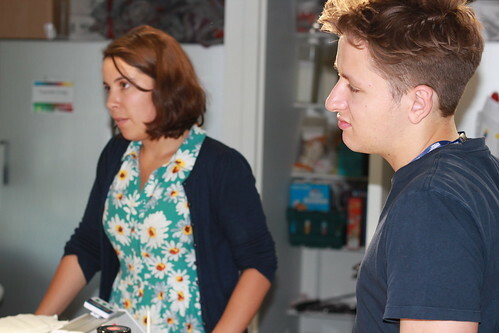 Holly Brooke-Smith, editorial assistant, and Myles Williamson, cookery assistant for Good Food Magazine also gave their feedback on product taste and quality and anything that needed cooking was put in Myles’ expert hands! Rebecca Reeves, one of our Good Food Show directors, is a regular judge for the Bursary Awards – she knows what our visitors wants and knows good food! 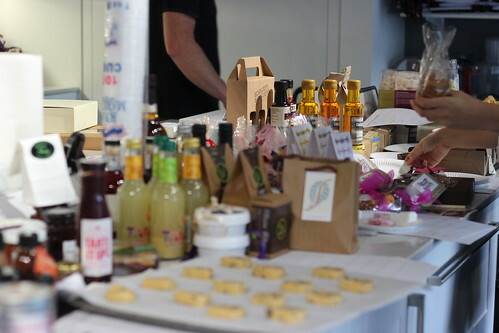 We also had Good Food editor Gillian Carter, and food editor Barney Desmazery put in an appearance, and Laura Biggs, MD of BBC Haymarket Exhibitions too. Along with some great support from show manager Paul Patterson we had a brilliantly fun day tasting, debating and getting rather full! 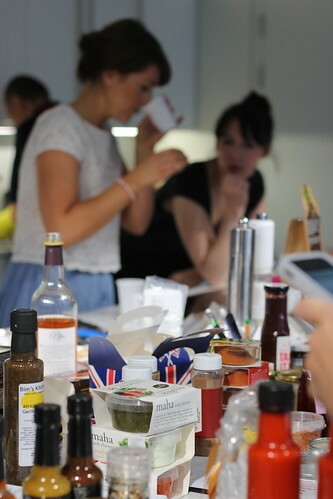 Stay tuned here on my blog for details of the winners, and of course, come and see them at the BBC Good Food Shows! Any news on the winners yet Katy? We are just waiting for the press release to get signed off – once we have this will be able to announce and will make sure winners are listed on here! Thinking about all that food now…! Eh! Took me the rest of the evening to get over it! I was wondering whether you could send me the name of the producer who had those hot chocolate sticks? The ones you melted in hot milk. I can’t recall the name… Wasn’t the one that had something to do with buying one of Cadbury’s old product names… Let me know! If not email me the whole producers list and I’d love to have a look through them all! 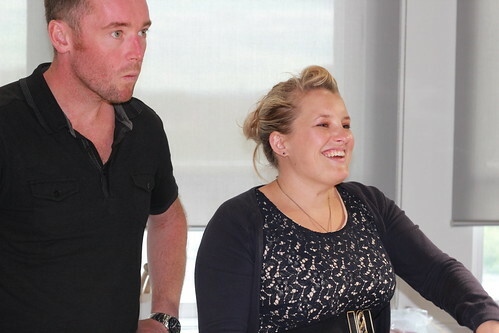 Dear Katy, we were lucky to have won the BBC Good Food Show Bursary in 2011 (as Mortimer Chocolate). We are heading up to the show in Birmimgham next week and looking forward to meeting this years winners. Have you got a list of the winner?. We wish them all a very successful show and hope they have a good a time, as we did.